It's actually easier when you tell people. When people know, they remind you.They might not mean to, but there are moments when you're not eating (not even thinking about food) when people mention the detox. That's less than helpful. But there are other incidents when people will bring treats and keep them from you. There are people who want you to succeed, even though they might not agree with what you do. Those people will keep you (if you're me) from cheating. It's different when you know people are watching. I started my fourth detox today. I'm planning a 12 day stint, with eight days without food. I am allowing myself to cut the eight days to six, if I feel I really need it. I'm using the M'lis Detoxification Kit, which is what I used the first time I did a detox. It's similar to the Master Cleanse, but does not include any salt or cayenne pepper. It's two days without protein, dairy, refined sugar, refined flour, alcohol or caffeine. That's followed by at least three (in this case 8) days of a distilled water, lemon juice and maple syrup mixture. I'm also taking fiber, detoxification, and cleansing pills. I end with two days exactly like the first, then reintroduce whatever I want into my diet. Today ended up being a less than ideal day to start, because we had a Lunar New Year potluck at work. The food all looked and smelled delicious, but I sat at my desk and ate a lot of fruit. I've done the detox in Fargo, Vegas, and now San Francisco. So far the reactions have been as different as the weather. In Fargo I remember it being an adventure. My friends (Heather & Heather) witnessed it with me. We talked about it and learned how it felt together. They didn't do it, but they asked a lot of questions. In Vegas there were what can only be described as "haters." My friends wanted me to eat. It sounds like a good thing, but I was trying not to eat. I mean they didn't bring me to buffets or sabotage me me unattended pizzas. But I got guff everyday. In San Francisco, it seems no one is surprised. People have heard about it (or at least of the Master Cleanse) and are relieved there's no cayenne pepper involved. I've never used it, but it seems to be heinous. Mostly everyone wished me luck and asked me to keep them up to date on my feelings. Of course there's the why. Ultimately yes, I am doing this to lose weight. But not in the way it may first appear. I don't expect to lose 40 pounds of fat doing this. I do think this will help me stay focused. I'll have almost two weeks to get over cravings and give my liver a break. The liver (if you didn't know) is solely responsible for belly fat. My liver has a lot of work to do. It's also doing double duty, breaking down the food my gallbladder can't. Lemon juice is good for the liver, and promotes cleanliness. The detox will keep my liver fresh and hopefully stimulate it that much more when I get back to eating. Also, my skin has not been clear since I moved here. And I just can't have that. Day one went well. I had all the fruit I wanted and plain popcorn. My only issue was the caffeine headache. I meant to not have coffee this week in order to prepare. But I forgot. So today hurt. Tomorrow will be better. I'm issuing a 90 day challenge to myself, effective today. I originally planned to issue an 100 day challenge, but life got in the way. I'll give you a piece of my reasoning. CNN is constantly reminding me President Obama has 100 days to bring about the change he advertised during the campaign. The 100 days countdown is admittedly a media invention - another open, or animation telling your brain to perk up, pay attention, and turn your head toward the TV. It's also a way to let political news junkies ease back into reality. We've counted down to Inauguration Day and up on Election Day. We've waited hours between primaries and gotten by with punditry between debates. We've been counting for two years and now the political season is over. We're going back to the boring business of being at war, having obese children, and detrimental climate change. Sure we've added a recession, but it's not the same as having 15 presidential candidates. So we have one last fix. One final countdown to news that's "nothing spectacular" and "mostly bad:" the first 100 days of the Obama Administration. There are 90 days left and I've decided to take some of the pressure for myself. 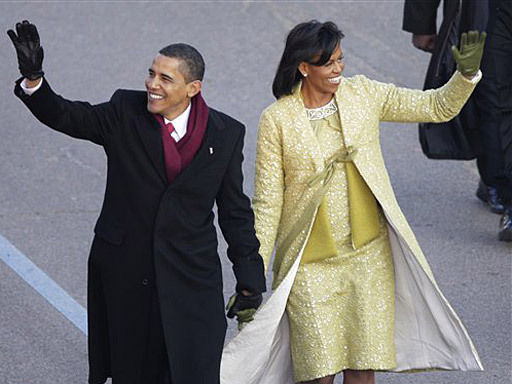 Media invention or not, President Obama is doing as much as he can as fast as he can. do it He's capped salaries, funded family planning in other countries, signed a directive to close the detention center at Guantanamo Bay, and ordered government agencies to be more open to the media. I bet he's also spent time with his family and been to the gym. What have you done in the last ten days? What have I accomplished? The answer (for me anyway) is nothing worth noting. The next 90 days will be different. 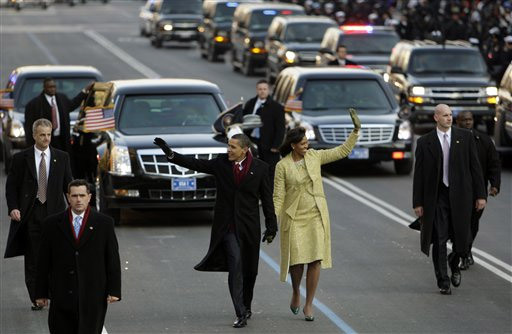 Barack Obama is one man. The things he accomplishes are things one person (with a full staff and super secret Blackberry) can get done. He's working to bring the country to the best place it can be. In my case, I only have control over my life. But I see no reason why I can't do the same. I'm setting out to get my "house in order." I'm not exactly sure what that means, but I do have criteria. My tasks for the next 90 days must be for the greater good of my person, relationship, household, professional development, finances - the overall good of Danie. I plan to start small to test the waters. The point is to better the world that revolves within my control. If Barack Obama can help me, the least I can do is help myself. I think a postal mishap is affecting my credit. If this turns out to be true, it will forever damage my perception of the USPS as one of the most effective government agencies. I received a call (on my cell phone) Friday afternoon from a Bank of America representative. She said she was calling about collection on the account belonging to the late "Someone Else." This "Someone Else" has my same last name and first initial. More than that, "Someone Else" and I shared an apartment complex back in Las Vegas. Still, I didn't ever know "Someone Else" existed, until I moved to San Francisco. Jesse and I forwarded our mail before we left Vegas. A month later (maybe less), we started getting mail for "Someone Else." The bills and magazines had forwarding stickers on them, which I removed. That's how I learned we shared an apartment complex. I put the mail (without the sticker) back in the outgoing mail. Eventually, it all came back with new forwarding stickers. I figured the bar codes printed on the bottom were to blame. I blacked them out, took off the stickers, and put the letters back in the mail. And I went to Vegas. One thing had nothing to do with the other. I was in Vegas for Halloween, and to run some errands. But those errands brought to a post office, where I asked about "Someone Else's" mail. The man behind the counter told me to just keep sending it back. Back in San Francisco, "Someone Else's" mail was coming back for the third time. Some of it was starting to look abused. And the USPS stepped up efforts to thwart my mail return operation. The USPS tells certain groups when their mail is forwarded. 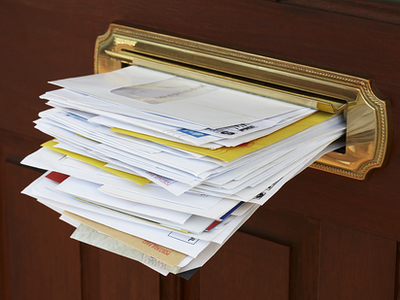 By the time I stopped the forwarded mail, addresses had been changed. Mail was addressed to "Someone Else" in our apartment. I found no way around that, and three months after we moved in, we moved again. I don't know when "Someone Else" died. I don't know how long it took for the bill collectors to link my cell phone number to his Las Vegas address. But it has been done. And so far at least Bank of America believes I have some connection to his debt. "Someone Else" also has the same last name and first initial as my brother (Derek), to whose debt I actually am connected. This could really confusing. As much as I knew I had to do it, I did not want to fight management at Optical Underground. Yes, it was an OU employee's mistake that cost me an extra $172, but I felt partially responsible. I've been wearing glasses since I was 3, and contacts since I was 15 or so. Shouldn't I have realized the prescriptions are not the same? Maybe. But it was never my job to know that. It was hers. And my money shouldn't be used to make up for that. I decided to write a letter to the owner once I got my new glasses. I saw no reason to give anyone there reason not to like me while they still had my vision in their hands. Some people don't take criticism well. My glasses were supposed to be ready ten working days after I ordered them.Construction only took three days the first time around, so by day nine, I had convinced myself of a conspiracy to keep my glasses long enough to make me forget my complaint. I went into OU on a Saturday, both to check on my glasses and hopefully lodge my complaint without having to type it up and make copies of my supporting documentation. Neither mission was accomplished. The OU employee responsible was the only one there. She's friendly and not a manager. I really didn't want to ask her about it at all - because she might have tried to save face. Then I would have had to be that customer, bringing up the same problem more than once. Plus my glasses weren't ready. I went back Thursday (days after someone called me) with the intention of speaking to a manager. I did not feel like writing a letter. 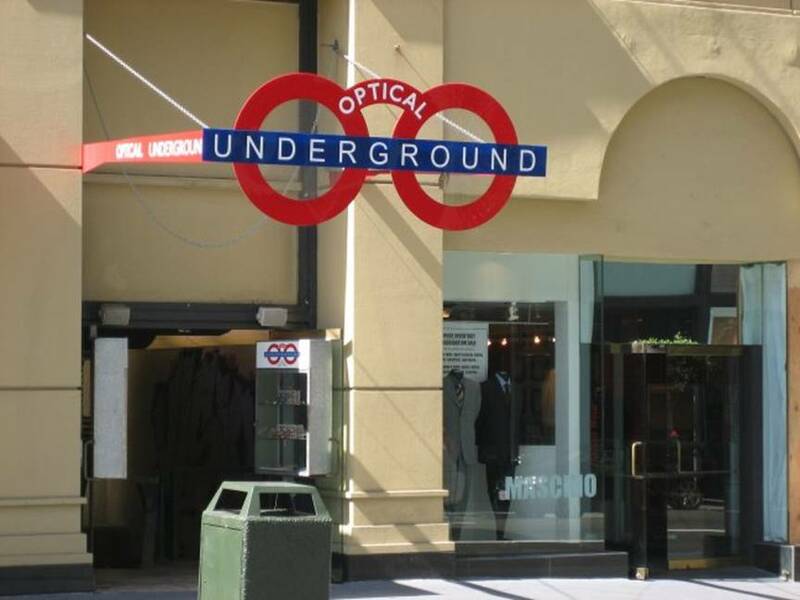 Optical Underground is not a chain or a corporation, there's just one store. I couldn't expect to hide behind words and expect a check in the mail. Aside from that, the idea of a letter was daunting. I wanted to convey my being - that I'm not the type of person who agrees to something then tries to change the terms. I wanted to explain I honestly did not know about the different prescriptions and that (while it may have been an honest mistake on her part) I cannot live with less than perfection for my eyes. I put it upon myself to say a lot in that letter, and as a result couldn't bring myself to write anything at all. So I settled for settling face to face, with someone who had not been directly involved. I spotted two managers and the OU employee in question when I went into the store. Eventually she was the one who helped me. She got my glasses for me and went on a search for an authentic J.F. Rey case, which I did not have before. She was helpful and efficient. But I was there to potentially get her in trouble. I did not abandon my mission. It was time to face my foe. I told her I paid for the lenses twice and would like a refund. She looked at the prescriptions and said "I should have caught that." She called a manager over, showed him the two prescriptions, and the decided to issue a refund over what they were calling a "doctor redo." There was no such redo, but I got my $172 back anyway. No hard feelings. No embarrassing moments. And one nifty case. Proof that everything is linked: someone called me about an Emmy submission. It would fantastic to win another one, and I think those involved deserve to win. Plus -- look how happy it makes my parents. There was just the matter of cost. Yes, it costs money to ask to be considered for a nomination. Specifically $180. I just so happen to have about that much ready to spend. My boots are going to have to wait. We have a new president. And I worked hard to tell people he was there. I thought the swearing in was going to be at 8AM Pacific. Someone said that and I believed them, even though I had the official schedule in my inbox the entire time. So this morning I was ready (at 8) to watch the words and feel the emotion. But once I saw the important players were still traveling, I had two options. I could have stayed and watched, or scurried to work with hopes of not missing anything. I checked my email and headed out the door. I got to work in plenty of time to see that the deed was done, and then I had to get to work. I can't begin to explain all that needed to be done. Just understand that there are extra special, (self-imposed) higher standards for media on special occasions. Standards are generally high, but on days when members of the media are allowed to be among the people, I think they put more of themselves into their work. It becomes more personal and therefore more difficult to get right. Usually we humble media workers have time in between these occasions. There are two years between political races, for example, and you've seen what your local stations do for that. Things have been different lately though, because the political candidates went at it for nearly two years. The campaign brought them to battleground states repeatedly, quintupling the expected number of special occasions. We in the media are tired. Tuesday, it got physical. I came home from work, washed my hands and saw this. There is blood in my eyeball. I did not panic, this has happened before. The last time was when I was in college. I called my parents and my dad drove 5 hours after work to take me to an ER. The doctor (from what I remember) said it would just go away. I called my dad Tuesday night (in light of the new blight) and he remembered something similar. Both my mom and my dad understood today would be a day for a bleeding eye. That means a lot, since they're still surprised I work holidays. For now I plan to keep one on the other, and both eyes on the lookout for more of these special occasions. I kept typing. I wanted it to be clear that I was sitting in my car minding my own business and that they should do the same. But my hints were not obvious, and one of the three started talking even louder, to make sure I heard him. "I used to stay in Nevada. I was in Vegas for two years. I was over at 95 and Durango. But I had to get out." I asked why. I did not look at him (as I was now typing a play by play for Kate) I just asked why. "The money wasn't flowing like it used to." What he should have said was "I'm a moron." That fool had four properties, all with Adjustable Rate Mortgages. He said he was paying $1200 a month (at some point) for a four bedroom house, and that the mortgage tripled. Even worse, I think he was a construction worker. In Vegas, that once meant living high on the hog and now means poverty forced relocation. He went on, explaining what he did and did not like about Vegas. He asked me where I used to live. I told him. He then explained the 215 Beltway to me as if I hadn't told him I lived there. He asked me how I liked San Francisco and eventually ran out of things to say. Meanwhile the Vehicle Verification is still going on in front of me and the woman is digging in her trunk. What does this state want from it's drivers? "My friend from Vegas might have a pen you can borrow." Never in my life have I ever wanted to say "No you didn't" as much as I did then. The Foreclosure Fool offered a pen of mine to a friend who had missed the whole exchange. The friend was confused, but the FF sent him to my window to ask. I opened my bag and told him I only had a pink pen. He was clearly to macho for that. Plus I'm not even sure the DMV accepts pink ink. Finally it was time for my vehicle to be verified. I didn't have to go into the trunk, just open the hood. And the guy making the demands did not offer to help. He did though walk me through it. Jesse is in charge of looking under the hood and of dipping sticks and what not. I buy the snacks. So I should not have been surprised when I could not find the bar that props up the hood. I was surprised at how hot the hood had gotten from one drive on a sunny day. Although looking back, I had been idling in case the FF tried to get in and I had to run him down. I paid less attention to the search for the prop bar as my hand started to sizzle. The DMV guy was the first to find it, stealthily planted on the actual hood and not on the car. I'm not proud to admit it, but I got caught in the underbelly of "flex" spending. When I got to San Francisco, I thought I was due for immediate surgery. So when the HR representative asked me if I wanted to set aside money for medical expenses, I thought it was a perfect opportunity. I also thought I had a year to spend it. I was wrong. I did not have a year. I had the year. It wasn't until the payroll deductions did I realize I was committed to spending $1000 on medical supplies in three months. Fortunately, I was born to spend. I filled a sweater box with all sorts of medical supplies, and then some. I also bought two pairs of glasses. The first pair is multi-colored and has what Jesse calls "racing stripes." They were designed by J.F. Rey and I got them at Optical Underground. I like them because they compliment my face. They're also bold and remarkable. Jesse thinks they're too much. Personally, I think he suffers from 20/20 vision. He thinks glasses have to be all business and can be only a little fun, but not cool. He wants me to look like a professional, so people stop treating me like a child. I say professionals can be fun, and that those with the lowest expectations of me have only themselves to blame. The second pair is a basic black, with a clear outline. They were designed by Ralph Lauren and I got them at For Eyes. Jesse didn't comment on them at all upon first glance (mostly because I was screaming about spinach) but he says he loves them. I picked up the second pair today, then had to return the first pair because a prescription is not a prescription. Let's go back (quickly) to when I left Vegas. I had a year's worth of contact lenses, and a typed out prescription signed by my optometrist. That's the same prescription I handed to the woman at Optical Underground when I decided on the fun frames. A week later, I was seeing in style. A week after that, I handed the same prescription to Eillen at For Eyes and she said: "This is not right. This is a prescription for contact lenses." I told her it was the only prescription I had. She informed me every optometrist must give an exam for glasses while they give one for contacts. All she had to do was call, get a consent form for me to sign, and they would fax my prescription for eyeglasses - which I now know is not the same as it is for contacts. Today I picked up the new glasses and the difference was... well it was as plain as the glasses on my face. The fun glasses had the wrong prescription, etched on custom lenses. Back to Optical Underground I went, with the proper prescription. I explained the issue to Woman B, who I have seen there but who did not take my initial order. Woman A (who did take my order) was there and on a personal phone call. I showed the dueling prescriptions to Woman B and she was confused, because my contact prescription was weaker than my eyeglass prescription. She thought it should be the other way around and asked Woman A. Woman A said no, the eyeglasses are stronger than the glasses. She then pointed to the eyeglass prescription and said: "This is for glasses, the other one is for contacts." She was so authoritative about it, I became angry. The difference is easy to find. A contact lens prescription has a measurement for your cornea. An eyeglass prescription doesn't. Woman A knows this. Still, she failed to notice it when I first ordered. Woman B felt bad for me, I could see it on her face. I had to buy new lenses. Not only are they shaped specifically for my frames, but one eye is legally blind, the other is twice as strong. I can't get lenses off any imaginary shelf. Woman wrote out my order and gave me the web site coupon discount. Still, the lenses were $172. And just like that I was out of a pair of knee-high, square-toed, wedge-heeled boots. I'm not satisfied with the resolution. Typically the person at fault should be the person who pays. Woman A should have noticed just as soon as Eillen did. But shouldn't I also take responsibility for not knowing the ins and outs of my eyeballs? I should have realized there was a different prescription for different lenses. But thinking back, I don't know how I could have. Someone wasted time making custom frames no one will be able to use. I paid for those lenses, and they will never serve me. Woman A made a mistake and she had no repercussions. No sir. I don't like it. It put me in a bad mood. And things (on the first day of my 2009) got worse from there. Today I officially start 2009. I don't typically operate within my own calendar, but I also don't see a point to starting any resolutions before my birthday. Three days into every new year, there are no calories, no limits, and no work. It would therefore (in my opinion) be silly to crack down for two days only to indulge as much as possible and start again. Taking a self-imposed break between years also gives me a chance to name my goals, and consider realistic ways to meet them. This year, I have decided to rely on you (yes you) to keep me in line. I work well (maybe even the best) under pressure, with a deadline, and with repercussions. But I can come up with all kinds of acceptable excuses when I'm the only one holding myself accountable. Most of the time I don't even consider my rationalizations to be excuses. I simply explain all the other things I did that kept me from whatever had been my "main" priority. I've learned a lot though, namely how to repeat mistakes. I have had the same resolutions for as long as I've been making resolutions. Every year I promise to lose weight and save money. And to a point, I've accomplished those goals. But I'm ready to be done with them, because I now have other goals. So with you as my witnesses, here is what I will accomplish in 2009. I will cut my credit card debt in half. I've had credit cards since I was 18. I think (now that I'm all of 27) I can live without them. I'm testing this theory by freezing my only two credit cards. I put them back to back (or cvn to cvn) in a bag of water first thing New Year's Day. After two days I couldn't see the numbers. Technically yes, I could get the account numbers. But I do not know the expiration date or cvn for either card. This means I have to have an emergency fund, because I don't think it's advisable to microwave them out. I'm going to achieve and maintain physical health. This means losing 40 pounds of fat and gaining 10 pounds of muscle. No, it's not to much. No, it will not be easy. Yes, I know what I need to do. And it's about time I just did it. I started losing weight a little more than two years ago. I'm ready to be done. I will read 50 books this year. 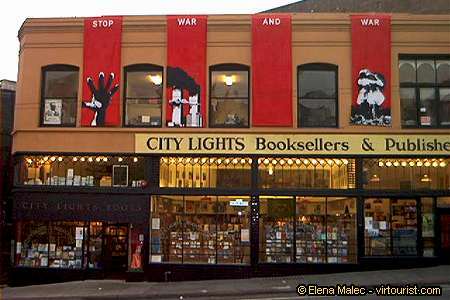 Jesse and I stopped at City Lights Bookstore a few weeks ago. It's a well known place and I should be glad it's so close. But once we were there, I felt ashamed. Book stores used to inspire me. They made me want to write and read and write some more. I had been excited about the words I had yet to learn and the stories I had yet to hear. But that night I was overwhelmed with the realization I won't get to them all, and that I may not even get to most of them. And I was ashamed that I hadn't even tried. I did a lot in 2008, but I did not read. I regret that and will work to fix it. I'm willing to read anything, and am taking all recommendations. I've already read Harry Potter And The Deathly Hallows this year. It was a re-read, but it's good book. Jesse insists I read The 4-Hour Workweek, and I'll do it even though I don't want to. I have low expectations from Tim Ferriss, and I think he has low expectations from his readers. Kudos to him though for compiling (what I expect to be) common sense ideas that do not pertain to my career. I'll do it for Jesse, because he really wants me to read it. And he's been asking for more than year. My 27th Birthday was the first birthday Jesse and I spent alone. I actually think it was the least attended birthday party of my whole life and it was perfect. When I was in school, my birthday was during Christmas break, so I always had friends and family with me. The same was true for college. By the time my first birthday in Fargo came, I had already met Jesse. His friends were my friends and everyone likes a good birthday party. We hadn't made friends by the time my first Vegas birthday came, but I had friends come from Pennsylvania, North Dakota, and Texas to help me celebrate. After that, I had two years with good friends. But this year it was just us. On top of that, I didn't have a plan. I didn't know what I wanted to do. Jesse was zero help with his "whatever you want" mantra. I got up early, and made a grand plan that would have taken us to the Golden Gate Bridge and the Marina. The plan was on hold though, until after a trip to the farmers' market at the Embarcadero. It was the most organized farmers' market I had ever visited, a few of the vendors even took debit / credit cards. There were meats, cheeses, fish, jellies, honey, and of course fresh fruit, vegetables, and spices. There were even tent restaurants, where people had lined up for coffee and pancakes to enjoy while they walked and shopped. I bought Ollalieberry jam. I had never heard of it, and the woman selling it did not at all explain ollalieberries, but I tasted it, and I liked it. So I bought it. On the way home, Jesse (and his parents) took me shopping. I got work out clothes, some shirts, and a dress. It's my first dress since the Emmy's and it was a lot easier to find. I saw it on the rack and knew I would like it on me. That is a rarity. Shopping showed us it was too cold to be on a bridge over water, and Plan A was scraped. Plan B though turned out to be delicious. I made pancakes and we lounged. I read and Jesse started making dinner plans. He took me to Franchino's. It's an intimate Italian restaurant in the neighborhood next door. It's run by a family, with the father greeting guests, the mother making pasta and serving food, and the daughters waitressing. The food was amazing, but Jesse didn't let me take any pictures of it. I also got 0 pipctures of the restaurant, or of me and my beau inside the restaurant. If you come to town though, we'll take you there. If you like Italian food, you'll love Franchino's. We walked down to Union Square for dessert at the Cheesecake Factory. The Cheesecake Factory, like a lot of other stupid things in this city, is located in Macy's. The Union Square Macy's has been a disappointment to me on several occasions. I will not mar my birthday reveling by detailing it, but good things do not come out of that monstronsity. The Cheesecake Factory was packed, and even though we were only there for dessert, we couldn't even find a seat at the bar. So we got our cheesecake to go and took the trolley home. It was a delicious end to a a fun day. And I thank my darling Jesse for making it happen. I had to work Christmas Day, so Jesse volunteered to cook. Yes, there were plenty of left overs, but it's not like there was anything else to do. Jesse's decided to make Shrimp Fettuccine Alfredo, with homemade Alfredo Sauce. I prefer not to be around when he cooks (you would not believe the things he says are my fault) so I was glad to be at work. Also there was a breakfast buffet there and I don't need more than one excuse to eat. I came home to find Jesse stirring intently. He said the whole thing was actually pretty easy, and he wasn't sweating or swearing, so I believed him. The sauce was delicious. He also used fresh pasta, which made a noticeable difference. While I ate, he made a blueberry dessert that may have been more to keep me away from his cookie bars than for my own treat. Either way, the dessert was delicious and I was stuffed. Jesse and I then went up on the roof. This is Christmas in San Francisco. It's not like any place I've ever lived. It's colder than Vegas, hotter than Fargo, not as crisp as East Stroudsburg, and not as sloshy as Brooklyn. This is where we live, and part of how we spent our first San Franciscan Christmas. After we ate (and Jesse refused to let me nap so he could get his own shut eye) we went to the movies. Jesse had been really excited to see The Curious Case of Benjamin Button. He was clearly not the only one. There was a horribly long line outside theater #5. There were a lot of grumbles and complaints, despite it being Christmas, and despite the fact that everyone there knew movie theaters were among the only places open Christmas night. Jesse was particularly impatient. He was pacing, huffing, walking in and out of line, and even standing on his tippie toes to see if the line was moving. I tried to tell him to calm down and that just got him more agitated. So I asked him: did Santa shoot you in the face? I was referring to the story of the guy who dressed up like Santa and went to Christmas party to kill people. He rang the doorbell and an eight year old girl answered, as was part of this family's tradition. He shot her in the face. She didn't die, but she's 8. Now she's likely in an emotional tailspin. The story bothers me deeply. I promised to would never forget it and to think about it whenever I think I have a problem. So Jesse was pouting over waiting in line. But he had not been shot in the face. He didn't see the point I was trying to make, and continued to sulk. I stayed quiet. Of course we eventually saw the movie and all was well.